I’m extremely disturbed by the fact that two women would adopt a little boy and begin forcing him to become a little girl via hormone therapy at the tender age of 11. The fact that this is something that human beings would even consider is bothersome to me. I don’t think children at that age are equipped to make life-altering decisions such as this. They don’t have the capacity to understand the ramifications of their actions, which leads me to believe this is something that these ladies wanted for this young boy, potentially before they even adopted him. 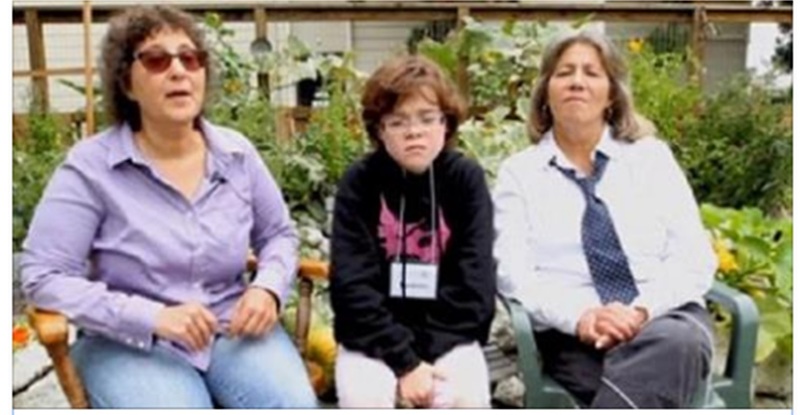 Pauline Moreno and Debra Lobel decided that their son should immediately begin transitioning into a girl at the age of 8 because postponing treatment might cause him to commit suicide due to persistent gender dysphoria. Apparently they didn’t want him going through male puberty which causes a young man to develop a deeper voice, broader shoulders and facial hair. I want to know what doctor signed off on this. How can you look at an 8 year-old boy and prescribe hormone blockers in good conscience? How can you not refer the child to a therapist to decide whether they’re just being a normal kid, or actually consider themselves to be something they’re not? At that age, your brain isn’t developed enough to understand ideas such as gender dysphoria, or the far-reaching effects of taking hormone blockers. Who is to say this kid doesn’t turn 16 and tell his moms that he really was a boy, but just liked playing with dolls because they were more fun to him than toy cars? Children simply cannot make these kinds of decisions. What he needs is a therapist and time away from his mothers who I personally believe are pressuring him into this. Who could do such a thing to a child?